In a nutshell, the 71-year-old guitarist acknowledged that, yes, Desert Trip is a big corporate money-maker, but at the crux of it, it’s an important celebration of an era of musicians who are dwindling quickly. In the case of the Who this night, it was that overarching, last-ditch nostalgia that gave the show its emotional and historical weight. They have seven more gigs scheduled for spring of 2017, but this show marked the band’s final North American date on their farewell tour. 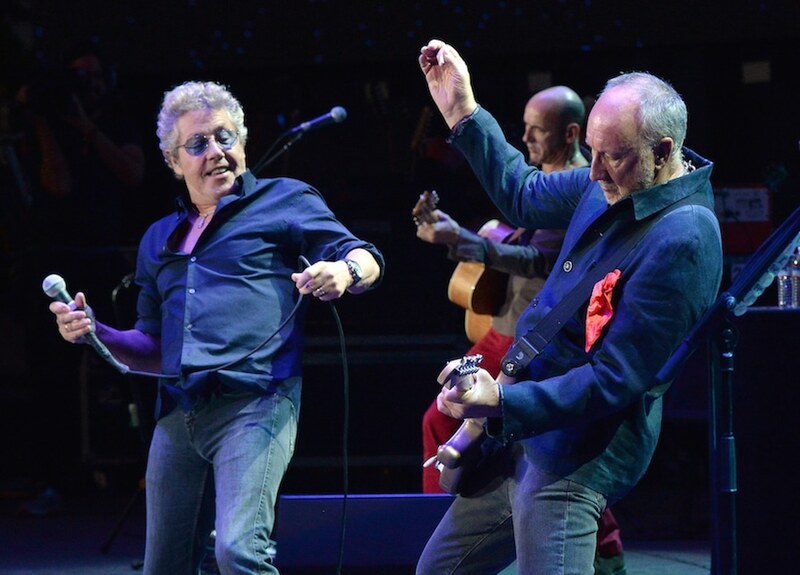 Of course, they’ve said their goodbyes several times before, but based on Townshend’s remark “tonight … we’re gonna cry,” it felt like this really could be their last Stateside stand. At some point between that Quadrophenia cut and a mini-set of Tommy tunes, Townshend managed to cut himself – either by his wild guitar swings or some other frenetic antic – above his right eyebrow, which became visible to the 75,000-strong audience via camera close-up during “See Me, Feel Me.” True to his punk-anticipating roots, it didn’t slow him down one bit for set closers “Baba O’Riley” and “Won’t Get Fooled Again.” In a way, the injury was an apt metaphor to conclude this show: just like Townshend in those final moments, the Who’s catalogue – some of the greatest rock music ever written – will endure far beyond their touring days. Since Dylan hadn’t uttered a word aside from singing during his preceding set, Jagger’s remarks set the tone for a show predestined for legendary status, as much because it followed a set from a newly anointed Nobel laureate (“We’ve never shared the stage with a Nobel Prize winner before… our own Walt Whitman,” he said later) as for its unprecedented context: the opening night of the final Desert Trip with a lineup of this caliber. The Stones didn’t waste a moment of the historical opportunity – they played an arrangement of tunes that was drastically different from their first run in Indio, making them virtually the only band on the two-weekend bill fully worth paying double for. The biggest shake-up was a mid-set run of four tracks: “Sweet Virginia,” “Angie,” “Live With Me” (a relative rarity) and “Paint it Black.” Although he had some high winds to contend with (“Like singing into a hairdryer”), Jagger remained sharp throughout all his hip-shaking, sashaying and singing, invoking some veritable ’60s flower-power on the latter cut. But it was around this section that guitarists Keith Richards and Ronnie Wood grew steadily looser, sometimes hitting licks in places that seemed to defy Charlie Watts’ precise pounding. The pair got it together for their swampy–blues acoustic duo takes on “You Got the Silver” and “Little T&A,” and of course nailed the one-two-punch encore of “You Can’t Always Get What You Want” and “(I Can’t Get No) Satisfaction.” Though honestly, the otherwise slightly off-kilter riffs didn’t ever detract. 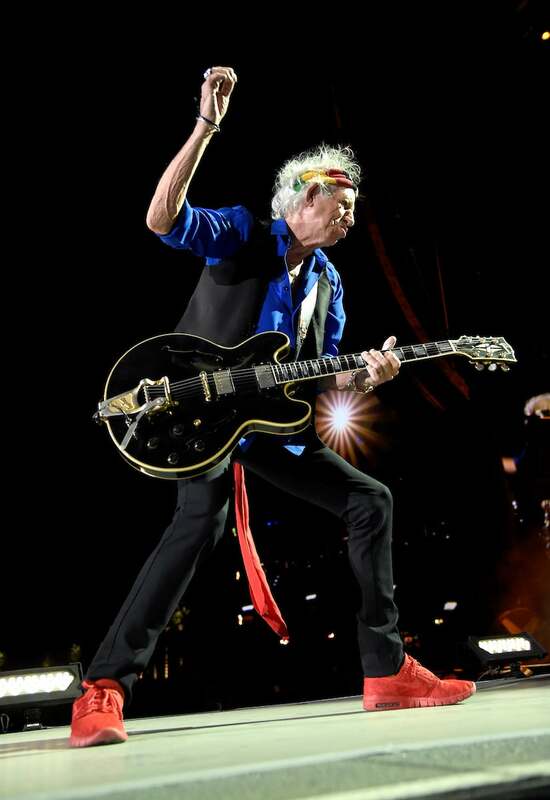 Anyone could listen to the original records to hear flawless versions of “Gimme Shelter,” “Start Me Up” and “Sympathy for the Devil.” But here, with Richards in particular adding erratic yet searing licks seemingly wherever he pleased as he strutted the stage wearing a wide grin, the Stones came off more authentic in light of their imperfections. The royal court of rock and roll needs such humanized rulers – more than half a century into their career, the Stones remain more regal than most.